Asheville city officials are working on a plan to build a new Asheville Fire Department station on Broadway near the Five Points neighborhood and the Five Points intersection with Broadway and Chestnut streets. Last summer, the city purchased property just north of the intersection. The next step is to hire a company to design a station, then engage the community to receive input, complete a design and get the station built. The station would be a single-company station (the most recent single-company station AFD opened is located off Brevard Road on Rocky Ridge) and would cost $3 million to $4 million, according to Fire Department Chief Scott Burnett. For six to nine months in 2010, the Fire Department stationed a company at the former Merrimon Avenue location during daytime hours and found that response times increased dramatically, Burnett said. City officials began looking at potential sites for a station and applied for economic stimulus funding, but didn’t land any at the time, he said. The city of Asheville acquired the Broadway property in the summer of 2014 for the purposes of building a new fire station, Burnett said. He stressed that as the process continues, city officials will engage area residents. “We want to, and we will, engage the public to make sure we have a station that meets our needs” and has support from the community, he said. 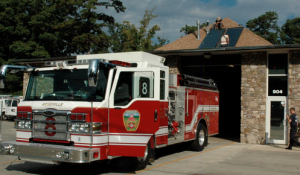 For a number of years, the Fire Department has included a request for a new fire department in the city’s Capital Improvement Plan in order to improve the standard coverage performance in parts of North Asheville including the 5 Points and Montford Neighborhoods. During Fiscal Year 2013-14 city staff began to identify locations that would be suitable for the new station. The most important criteria for the final selection is a site’s ability to improve the standard coverage performance for areas that do not currently meet the city-wide target. City-owned and private properties in Montford, on Riverside Drive and Broadway were identified and reviewed for appropriateness. Once a site met the main criteria of coverage performance, other criteria were applied. Privately owned properties were considered based on location and also on the size (one to two acres) and market rate. In addition to the Fire Department, Transportation and Public Works departments were involved in identifying challenges and impacts in order to help staff screen for the most appropriate options. With this information in hand, staff began to review and compare a limited number of identified sites in the coverage area and to make comparisons of their suitability. During this process, the property on Broadway became available. Once the site had been reviewed for its appropriateness as a location for the station, staff made a recommendation to City Council’s Public Safety Committee that it be land-banked to make it available for inclusion in the selection process. The Public Safety Committee agreed and the recommendation went forward to the full City Council and acquisition of the property was authorized. Both of these actions took place in closed sessions as they were related to land acquisition which is one of the authorized uses of closed public meetings. The process has moved forward and staff have concluded that the Broadway property will have the strongest impact on the standard coverage for the 5 Point, Montford, and surrounding areas. As requested, we will meet with impacted neighborhoods to share the next steps including opportunities for involvement in the design process . As in the past, our goal is to work with the surrounding community to minimize the negative impacts of locating a public facility on the edge of an existing neighborhood. The Fire Department has had great success in accomplishing this with other neighborhoods and it is our expectation that they will be able to achieve the same results with the 5 Point and Montford neighborhoods. February 10, 11 and 12 are potential dates for Chief Budzinski to meet with the 5 Points Neighborhood Association to share more information on next steps in the process and opportunities for involvement. We are assuming that the meeting will be in the evening. Please let me know if you need help finding a location for the meeting or if you have additional questions. Image link for Asheville fire station. funny and strange vine. I hope you enjoy this following vine called “She should get a job from fire department”. known as “She should get a job from fire department”. The deal is done. A fire station is being jammed in the neighborhood, less than a mile from a major station, despite much better locations potentially available. Community input is simply window dressing. Five Points neighborhood had no say in this. Did City Council approve this? All of them? Can you see those trucks trying to cross Hillside (when cars can barely get thru that tight street between Broadway and Merrimon? Or go down Weaver Blvd, around the circles?? Great decision.. NOT. – Location: why purchase new land and build a new $4M facility only 0.5 miles away from the Merrimon station and 1 mile away from the Pack Station? Was there no other City/County owned land available? – Location v2: why build a public infrastructure facility in the midst of 2 residential neighborhoods (5 Points and lower Montford)? Fire stations are loud by nature (and that is ok), but why not choose a space further up Broadway in a more industrial setting? 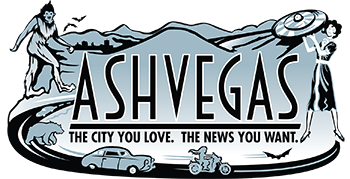 – Location v3: why build a public infrastructure facility on a corridor that connects a Public University and downtown Asheville. In theory, this should be thriving development space with mixed-use, green space, etc. Public infrastructure like this is unlikely to encourage continued development. Why is that very pretty old fire station on Merrimon not in use? Too outdated? Everyone prepare yourselves for the ubiquitous “I can see where response times need to be lowered, but / fire protection is important, but / A growing city needs expanded public safety infrastructure, but….etc. Yeah and note how they engage neighbors after the station has been designed….this FD is for Montford and Richmond Hill, but like the City always does, they shove it in 5 Points. Jason,can you get the report about response times in 5-Points now, I think we will find they are good currently. Where was the city when the momentum project was bankrupting? TPDF even give a big grant for that project, the City could have recouped some lost tax revenues. This City is a joke! Sean, he’s just another person who knows better on the Internet. His comment doesn’t actually have to “make sense” or “be constructive”. To quote Jason ” The next step is to hire a company to design a station..[snip]” Given that the meetings with FP neighborhood is in 2 weeks, I think it is safe to say the neighborhoods are getting involved at the right time and not (as you say) “after the station has been designed.” Unless they are pulling the design out of a Cracker Jack box. Seems like 5 points is best location to serve Montfort and Richmond Hill. I think exhausted is a joke, not the city. Maybe you should be more pro-active, rather than commenting on a website.